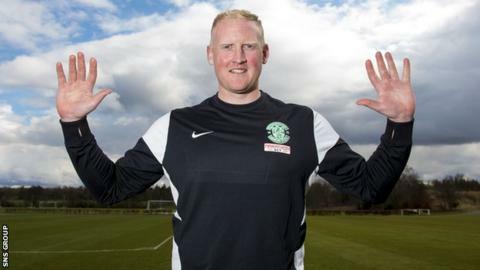 Hibernian have signed former Leicester City goalkeeper Conrad Logan until the end of the season, subject to international clearance. The 29-year-old Irishman will add depth to the Easter Road squad with Mark Oxley suspended for the Scottish Cup semi-final against Dundee United. Hibs manager Alan Stubbs said: "Conrad possesses a wealth of experience at a very good level in English football. "This can only be of a benefit for us as we enter into a crucial stage." Logan spent 14 years with Leicester before his release last summer but only made 30 first-team appearances for the Foxes. However, he had loan spells with Boston United, Stockport County, Luton town, Bristol Rovers, Rotherham United and Rochdale. Logan will vie with Oxley and Finland Under-21 goalkeeper Otso Virtanen for a starting place.